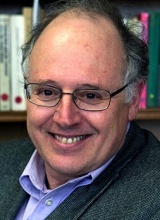 Nicola Di Cosmo received his Ph.D. from the Department of Uralic and Altaic Studies (now Central Eurasian Studies) at Indiana University in 1991, and held research and teaching positions at the University of Cambridge, Harvard University, and the University of Canterbury (New Zealand) before joining the Institute for Advanced Study in 2003. His main field of research is the history of the relations between China and Inner Asia from prehistory to the modern period. Within that broad area he has published on the early history of China's relations with steppe nomads (e.g., Ancient China and Its Enemies: The Rise of Nomadic Powers in East Asian History, 2002) and on Mongol and Manchu history (e.g., Manchu-Mongol Relations on the Eve of the Qing Conquest, 2003), and he has edited several books, including Military Culture in Imperial China, 2009, and The Cambridge History of Inner Asia, 2009. His most recent works explore the use of proxy data from climatology and other palaeosciences in the study of the history of China and Central Asia, with special reference to early Eurasian nomads, the Mongol empire, and the Qing dynasty.